THE DREAM CATCHERS MUSICAL WILL TAKE YOU ON A QUEST TO FIND HOPE FOR THE FUTURE AND DARE YOU TO BELIEVE THAT NO DREAM IS TOO SMALL. 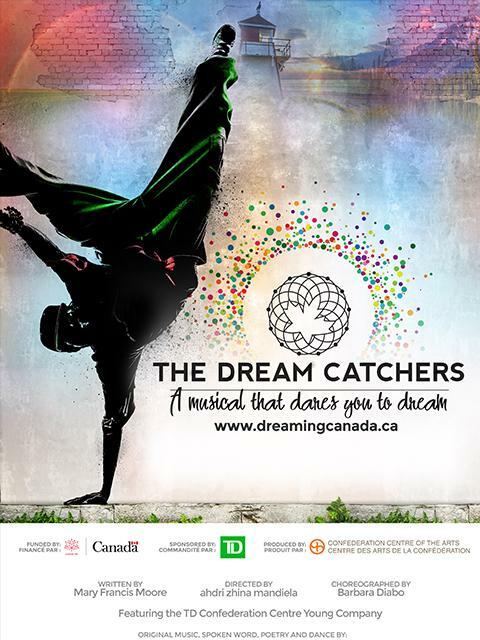 The Dream Catchers is a Canada150 Signature project, produced by Confederation Centre of the Arts, that creates opportunities for Canadians to come together and explore where we have come from and where we are going as individuals and as a nation. Using the dreams and voices of young Canadians to guide us we will explore the importance of inclusion, reconciliation, the environment and dreaming for our future. Nikki Payne, Carmen Braden, Romesh Thavanathan, Daniel Maté, Riley Simpson-Fowler, Laakkuluk Williamson Bathory, Caroline Savoie and Twin Flames - and featuring the TD Confederation Centre Young Company - The Dream Catchers' promises to leave audiences full of possibility. The Dream Catchers will open in both Charlottetown and Ottawa on National Aboriginal Day, June 21st, and tour the country until August 19th.